These certain kinds of tests are able to determine just what kind of personality type you really are. It's able to judge your decision making on whether you see the back of a young woman's head, or the face of an elderly man. 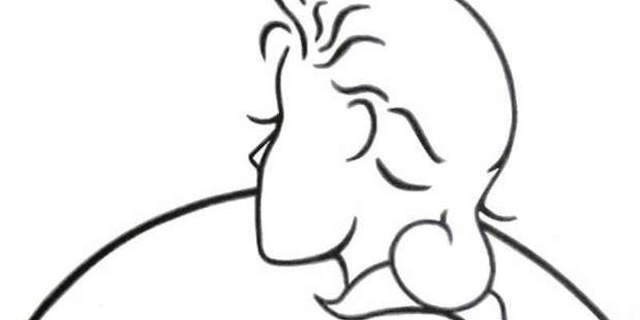 Deciding which one you saw first can determine just what kind of personality you have, based on what each picture means. There are a variety of these optical illusion tests that challenge everyones' brains to look at things a different way. There is usually more than one perspective when we are looking at things. It's an important lesson that we must learn to never accept things the way they actually are. So, which one did you see first? If you were one of the people who saw the back of the young woman's head, then you are considered to be a very optimistic person. You usually look for the best in everything and everyone. It's hard for you to flip the switch and see things negatively. There will always be a bright side to you. However, there are times where you prove to be a little bit too impulsive for your own good. That impulsiveness can either be a wonderful tool for being adventurous, or one for getting yourself into too much trouble. Either way, people look to you for happiness, someone who is endlessly filled with joy as you go about your daily routine. If you were able to see the elderly man in the picture first, this tells that you are a person who exudes loyalty as well as empathy. You are someone who understands the world for what it is and you know just what to say to people to calm them down. You are the person others look to when they need guidance or wisdom. There isn't much about the world that you don't already know about. You accept things for the way they are and like to provoke new ideals into peoples heads. Critical thinking is one of your better traits, which makes you an awesome person when it comes to problem solving. However, you do your very best for everyone and prefer that everyone else does the same for each other. Do these sound like the traits that best describe your personality? The young woman suggests a much more innocent being compared to the old man, who has a lot of experience to boast about to his friends and family. Either way, the two personality types have really good qualities to have.